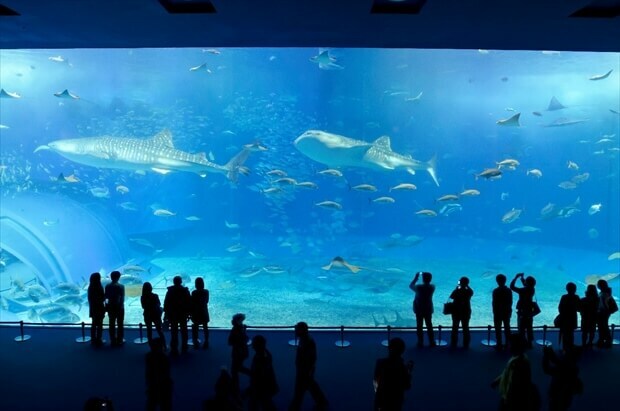 In fact, it would be unfortunate to only see the aquarium, as the park is filled with other attractions to see. 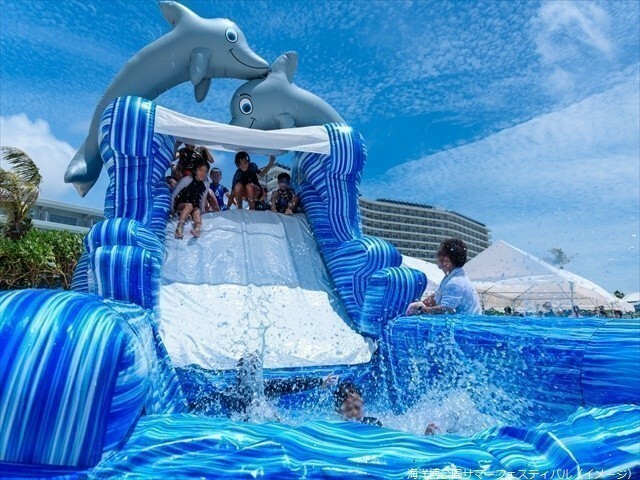 So we would like to tell you about the Ocean Expo Park which can be enjoyed all year round. We will inform you of all that there is to see and do, including how to access the park etc. We want to fill you in on what makes the Ocean Expo Park so special. 1. What is the Ocean Expo Park? 2. What is there to see at the Ocean Expo Park? 5. Best way to get around the park. 6. Access to the Ocean Expo Park. 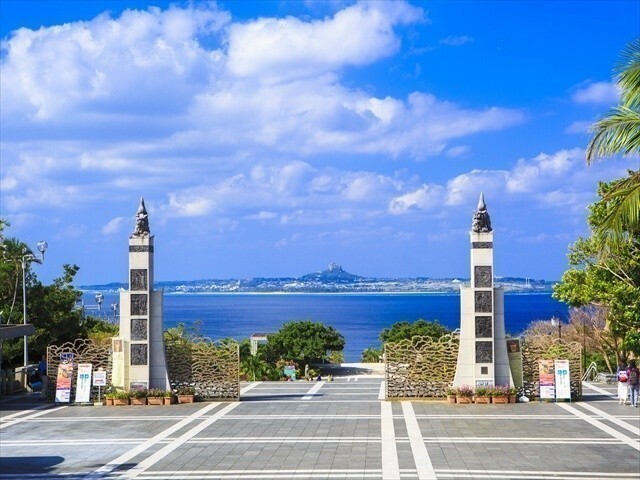 The Ocean Expo Park, boasting Okinawa’s top tourist attraction is located in Kunigami-gun Motobu Town, and it was made on this site as a memorial to the Okinawa International Maritime Exposition, which was held in the Showa Period in 1974. It is a national park. At that time there were no highways. The roads were initially created due to the exposition this brought road expansions and the development of hotels and resorts. The theme is（The oceans – a hopeful future) . 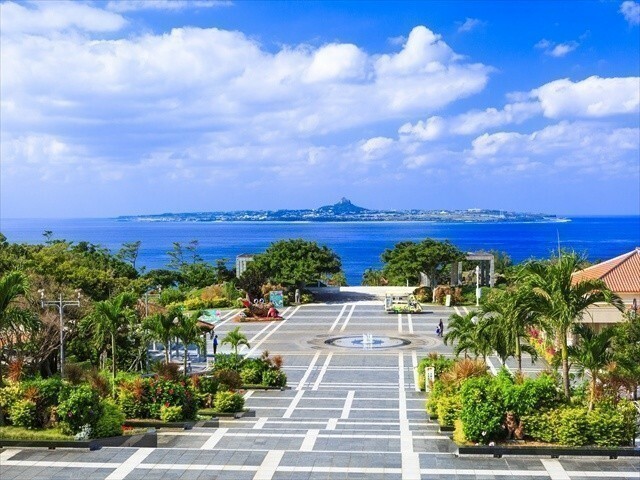 Starting from Churaumi Aquarium where you can see the planetarium and dolphin show, and Okinawa village where you can visit the botanical gardens and learn about the historical aspects of Okinawawa. It is included as one of Japan’s top 100 parks. 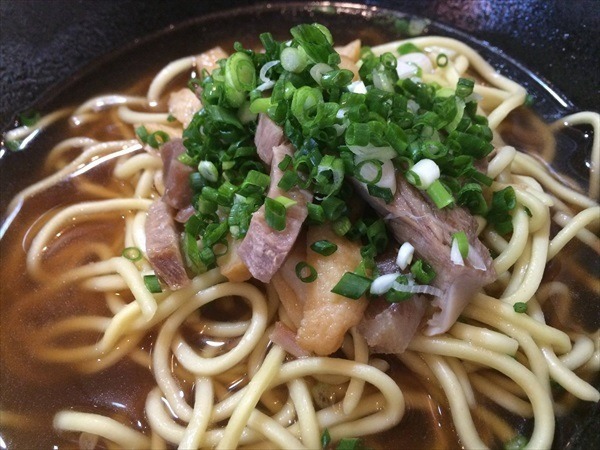 Among them, the Okinawa Churaumi which no trip to Okinawa can be complete without a visit to. It boasts the world’s largest aquarium and is famous for being home to a whale shark, rays and giant manta. 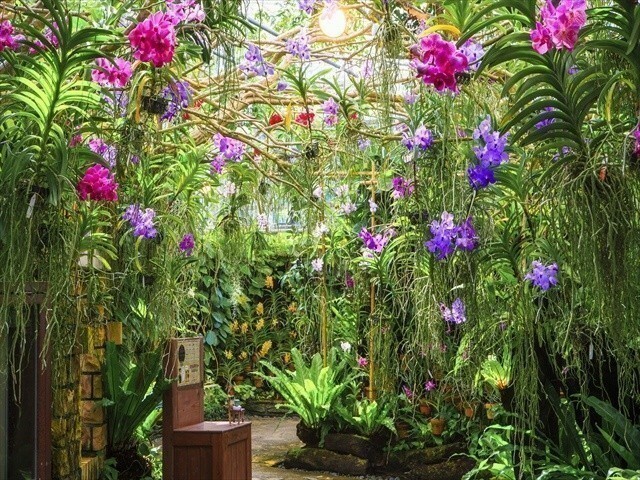 The tropical dream center is a flower lover’s dream. 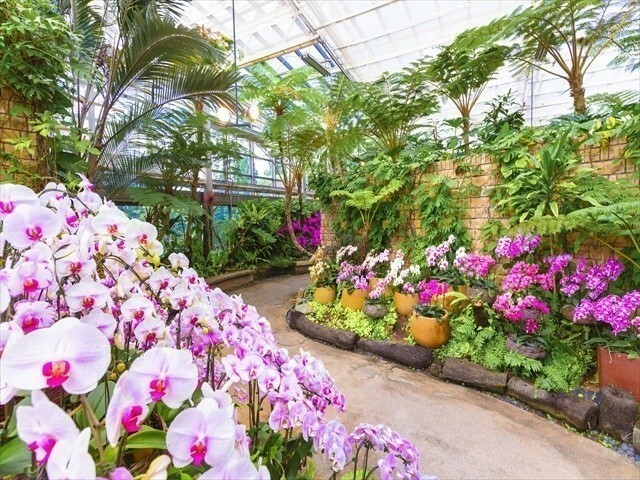 There are least 2,000 orchids on display at any given time and there are three greenhouses in which subtropical flowers are in full bloom. Feel like you have stepped into a jungle, take a few more steps and feel as if the flowers are dancing around you travel further into this fantastical world with every step. 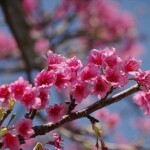 There are many rare flowers and even flowers a florist would not be able to find. 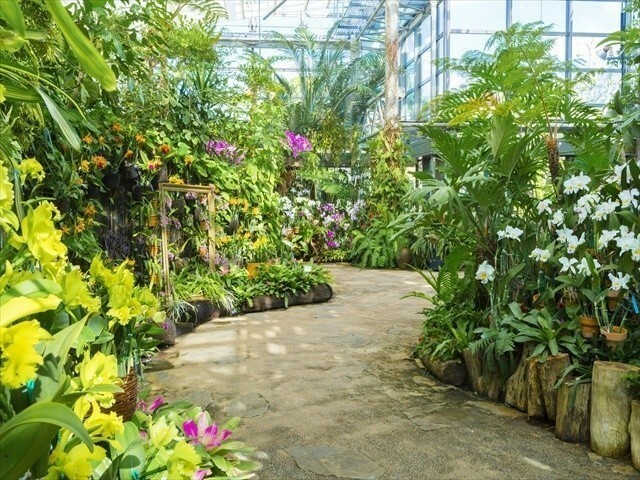 Enjoy walking through the spacious greenhouse taking pictures of your favorite orchids as you go. In the tropical dream center there is a free rest area ” Urizun” with a huge window from which you can lookout into the garden. Feel free to relax for as long as you like. If you are feeling a little peckish you should visit the tropical fruits cafe [ Skol ] and try a fruits pancake or pineapple pork bowl. In the stained hall there is a museum shop selling original t-shirts, hand dyed scarves and orchid seedlings, etc. 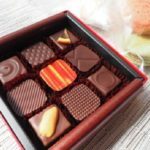 Items bought in the shop can be sent to your address to coincide with your arrival date. Please take advantage and continue the fun at home. There are plenty of places to see such as low trees found only in the south, banyan mulals, coconuts and a maze of vines. There is also a herb garden growing mint, basil etc. 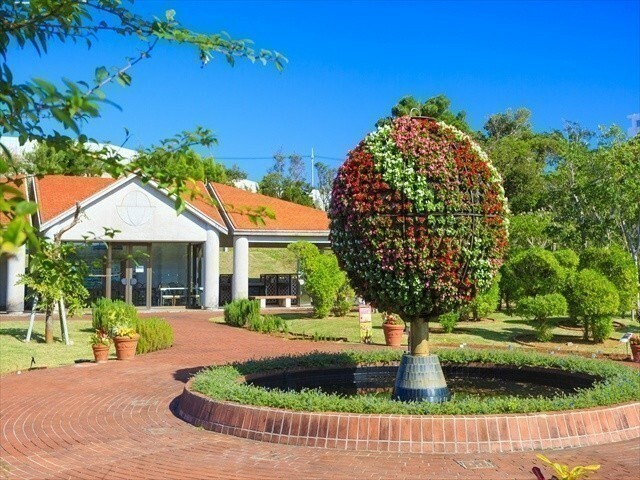 In the Banco Forest, you can enjoy picnics on the wide lawn and partake in making crafts using fruit from the trees. There is also an opportunity to try old pastimes such as stilt walking and water pistol games. ※The Plant Control Center will be run from a temporary building from February 22, 2016 whilst a building safety inspection is being conducted.. 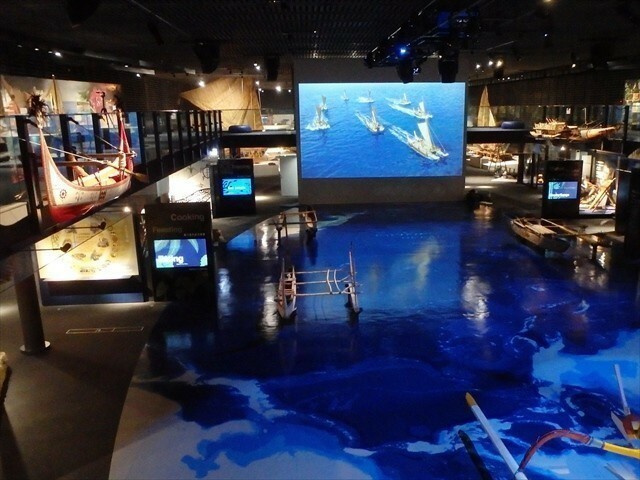 The Oceanic Culture Centre is a facility that introduces the history and culture of maritime people in the Pacific region including Okinawa. 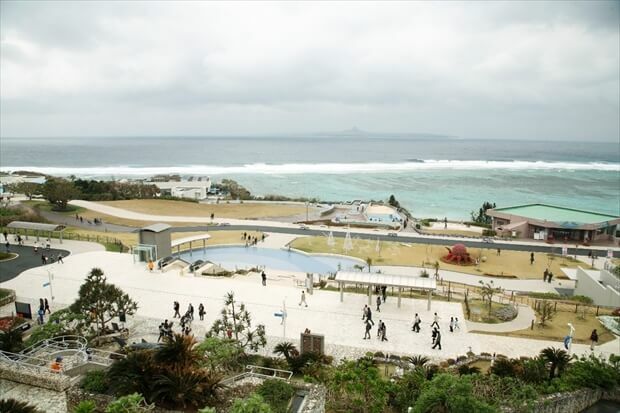 It is packed with attractions such as valuable exhibition materials of about 750 points, floor maps depicting the Pacific Ocean and large-scale images using walls. 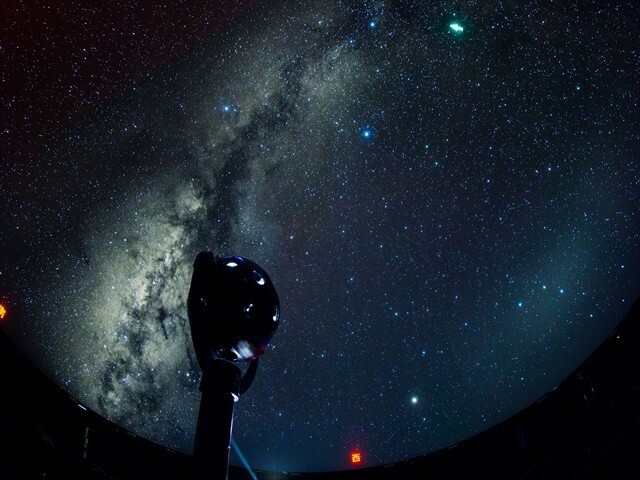 Become engulfed in the night’s sky as you gaze at the millions of brilliantly illuminated stars that seem to have been sprinkled across the sprawling planetarium screen. Use the reclining seats to sit back and get lost among the stars. 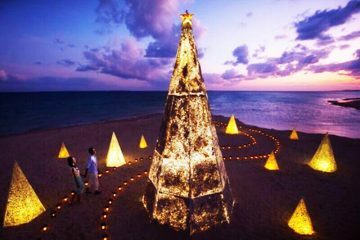 ■ Tropical Dream Center, tropical · subtropical urban greening botanical garden, Okinawan Native Village, Ocean Culture Centre. 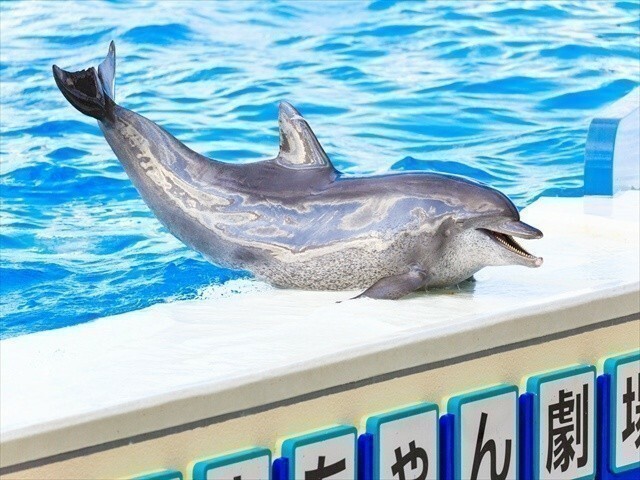 At Oki-chan’s theater you can watch the dolphin “Oki-chan” and friends perform. They perform jumps, tricks, and even dance for the audience. Witness the height of dolphin intelligence. The pools are divided into two, one for the show and one where you can observe the dolphins abilities up close whilst learning more about their ecology. The bottle nosed dolphins and Oki-kondo dolphins (false killer whales) are bred and raised at the Oceanic centre which makes for a loving environment at the Oki-chan theatre. Entrance is also free. The show pool can keep spectators covered even when it rains, this guarantees an enjoyable experience no matter the weather. 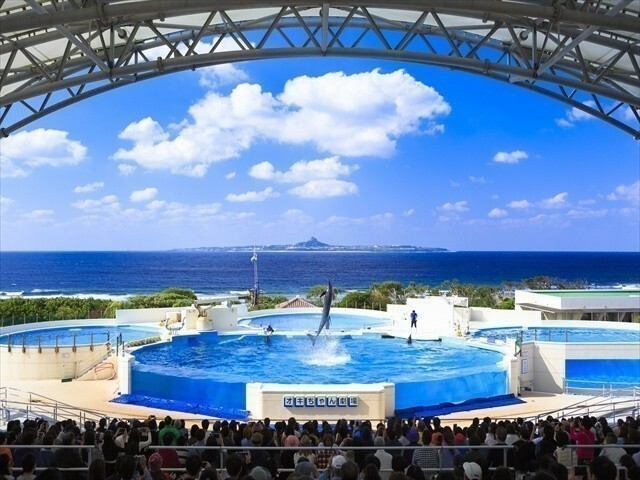 As the dolphin show is performed 4 times a day and the diver show 3 times a day, there are plenty of chances to see the dolphin Idol “Oki-chan” at the Ocean Expo Park. ※ From April to September, an additional performance has been added to the schedule at (17: 30-). Emerald beach in Ocean Expo Park is a beach for relaxation, a beach for fun and beach with a view. 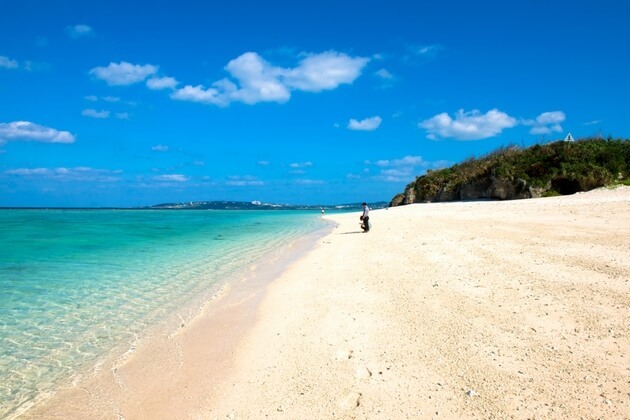 It is one of only a few beaches in Okinawa situated in a lagoon. The quality of the water has earned it a position as one of the top 88 bathing spots and one of the top 100 most enjoyable places to bathe. On days with lots of sun and little wind the various blues of the sea never fails to fascinate all those who are lucky enough to witness it. The white beach covered by coral sand compliments the ocean. 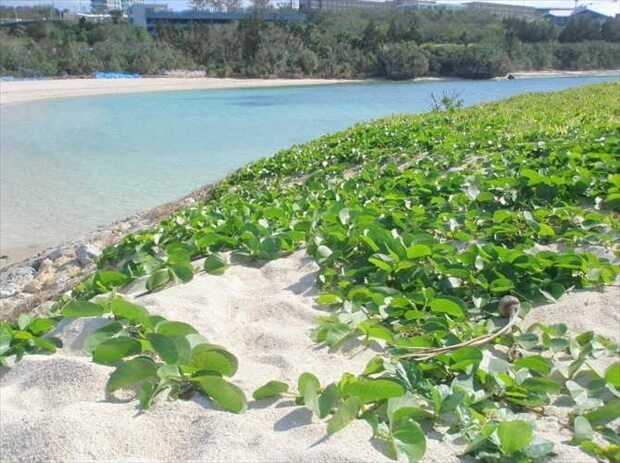 Young children will be enticed by the small fish swimming in the shallows making this a popular beach. 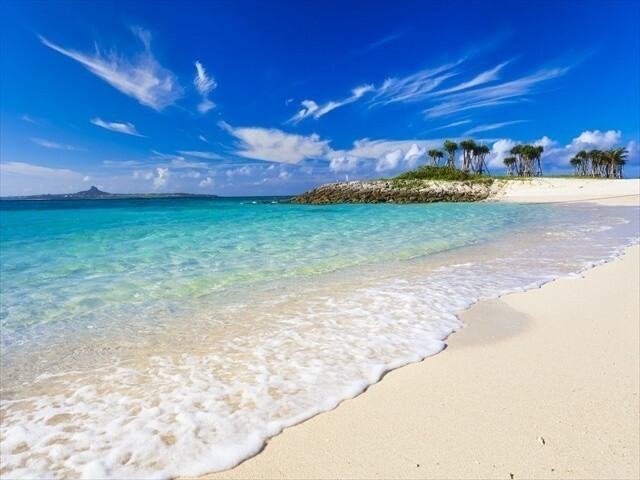 You can see Ie-jima in front of your eyes, and if you let yourself float a little out to sea you will see a small picturesque island like area. You can swim at ease as during the official swimming period, lifeguards will be looking out for your safety. 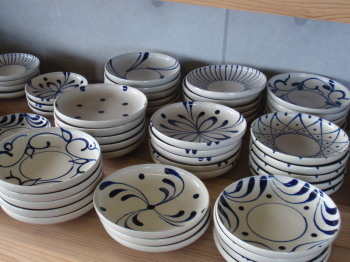 There are also a number of rent-able items. Parasols (beach umbrellas) are available at ￥515. This can also come as a set with two sunbeds for the low price of￥1,030 ※The usual price for a parasol in Okinawa is about ￥2,000 – ￥3,000. Children’s life jackets and rubber rings, etc are available to rent. * Please be aware that these are not suitable for use when snorkeling. Walk along the promenade getting close to the ocean without swimming or getting yourself wet. There are a number of staircases that can get you down to the beach, to see the reflection of the beach morning glory growing wild by the sea. 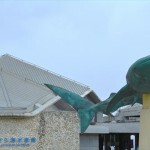 The main attraction of the Okinawa Expo Park is the Okinawa Churaumi Aquarium. 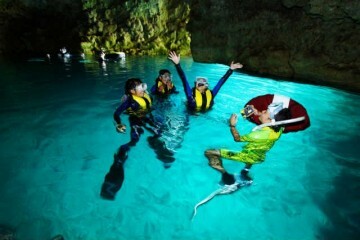 It has the world’s largest tank which is famous for being home to among others whale sharks,and manta. Around 3,000,000 visitors come to the aquarium per year and there are many other wildlife to see. Witness the world’s first coral large-scale breeding exhibition, ingenuity has been used to let you have fun learning about the ecology of coral. In reality it is extremely difficult to keep coral in a tank. After overcoming many challenges , the coral reef world that can usually only be seen by diving has become reality in Japan. 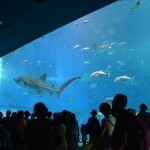 [I went to Okinawa Churaumi Aquarium with my child! Let me tell you how! Bise ‘s row of Fukugi trees has seen a lot of visitors recently. It is known as a healing spot and is famous for it’s unchanging scenery. Fukugi (Garcinia subelliptica); happiness trees​ are an evergreen tree with origins in Taiwan and the Philippines. 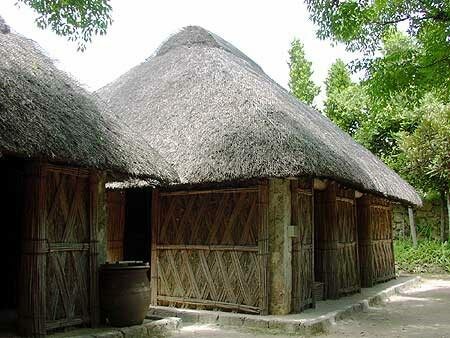 In Bise’s village, there are about 250 houses surrounded by the green of the Fukugi. Tall trees can grow to about 20 meters and play a role in shielding the residents from the hot summer sun. Originally the trees were planted to as act as windbreakers to protect villages. However, the green tunnel resembles a never ending labyrinth and feels out of this world. 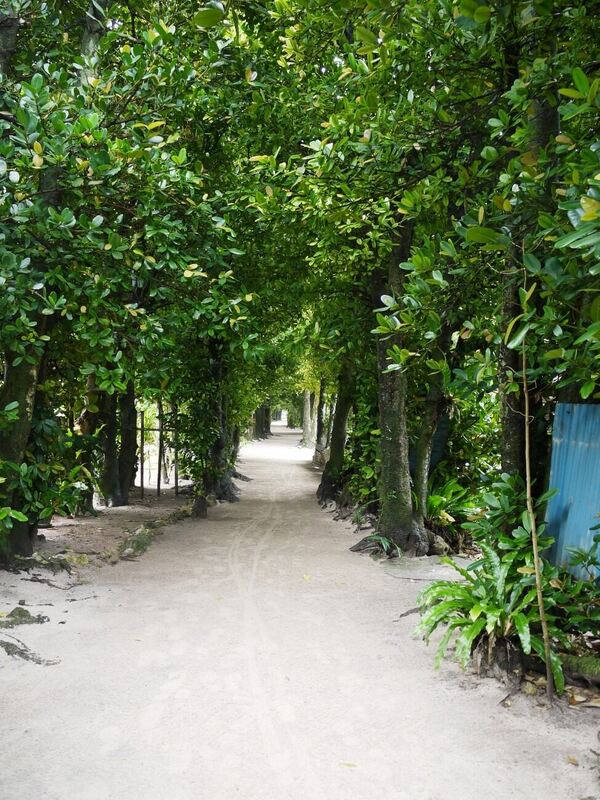 Take a refreshing stroll down the tree lined street for a refreshing nostalgic feeling you will not find anywhere else. 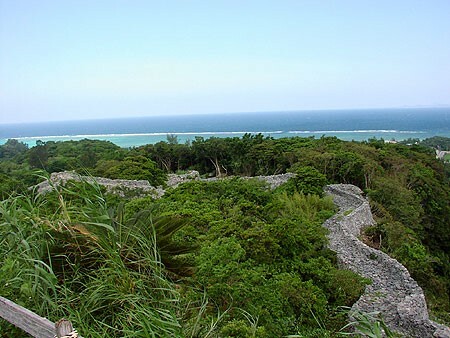 Nakijin castle ruins are part of the largest Gusuku (Okinawan fortress) of the Ryukyu Kingdom in the prefecture and is also called Nakijin Gusuku. In 1416, Chūzan’s King Shō Hashi unified the three kingdoms. 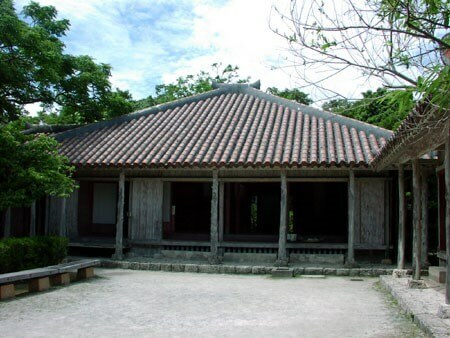 After that this was a residence of the Ryukyu Kings until 1665. ​ ​You can learn about the history of this sacred place which is also registered as a World Heritage site. 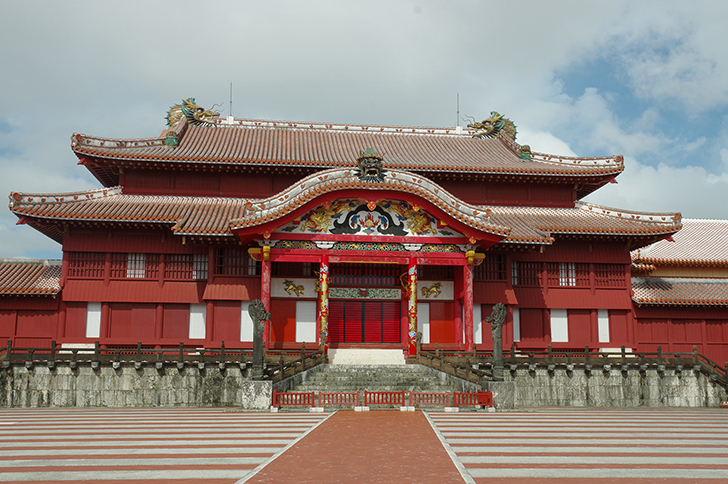 In Okinawa, there are many Utaki which are sanctuaries to worship God, These are usually places that are not meant for tourists. 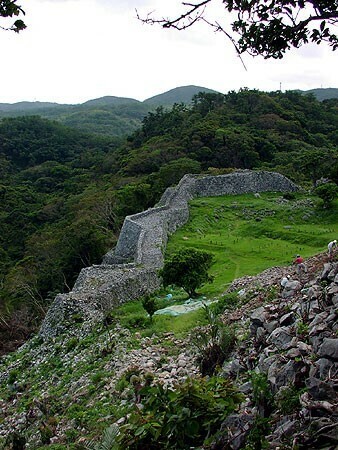 At Nakijin castle ruins, in addition to being able to visit the Utaki where its guardian god lives, it is a wonderful place with beautiful natural views on all sides.The stone wall that follows like a silk road is said to be the oldest piled stone structure. Historic Nakijin castle ruins can be explored in 40 minutes at the shortest but if you request a free guide you can complete the course in 60 minutes. The tour with a guide is highly recommended. 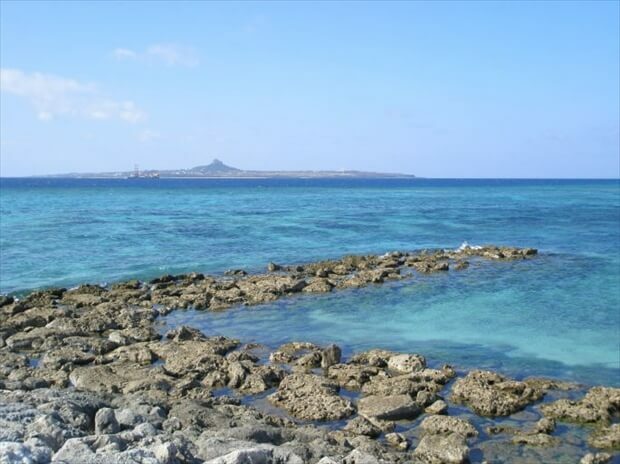 Kourijima is a remote island located in Nakijin village. As it can now be reached by bridge it has been receiving a lot of visitors due to the easy access. 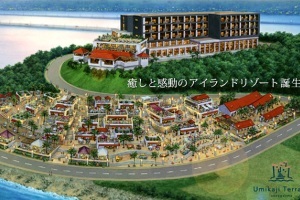 The Kouri Ocean Tower is also proving to be a popular tourist site. The view that can be seen from the observation deck is like something out of a movie. Kouri Jima is also home to the the “Heart Rock”. ★ Please click here if you would like to know more about Kouri Jima. 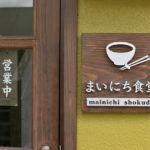 ​ ​Okinawa- Kouri Jima Perfect Guide! 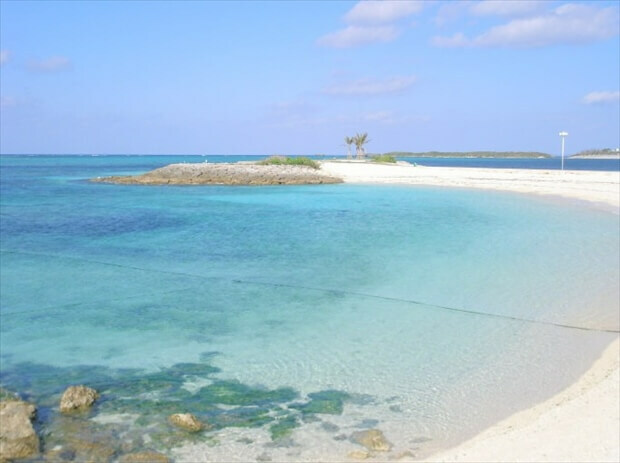 Sesokojima was once known as “the most beautiful isolated island in Okinawa”, and it is still a place where tourists continue to visit. The sprawling beach is a natural masterpiece and the way that the sea changes color day by is a remarkable site. 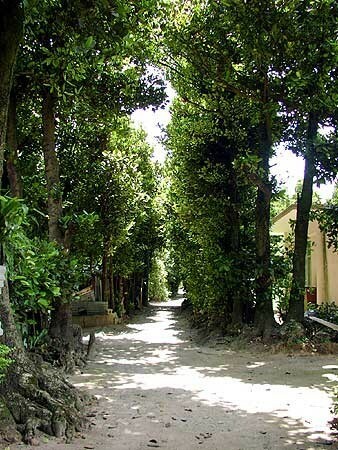 In the villages towards the centre of the island there are rows of Fukugi trees and quaint red local houses that are symbolic of Ryukyu. 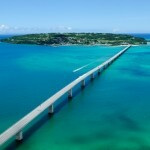 You can see authentic Okinawan scenery and since you can drive there, why not make it part of your driving day trip. 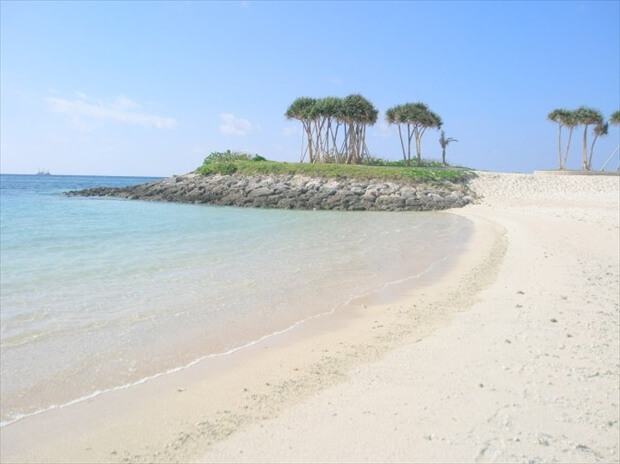 * Sesoko Jima ~Fascinating Remote Island Accessible from Naha! During the event around 10,000 fireworks are launched into the air for the enjoyment of the huge crowd of spectators. 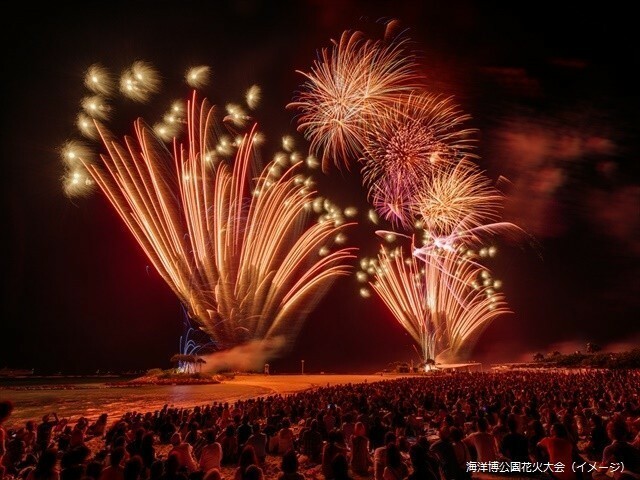 Before the fireworks display holiday makers enjoy beach attractions and beach-side concerts. 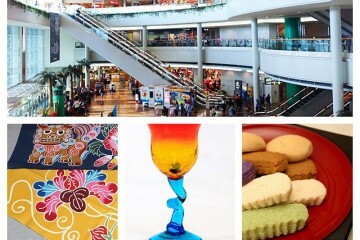 Why not schedule this yearly event into your holiday plans. 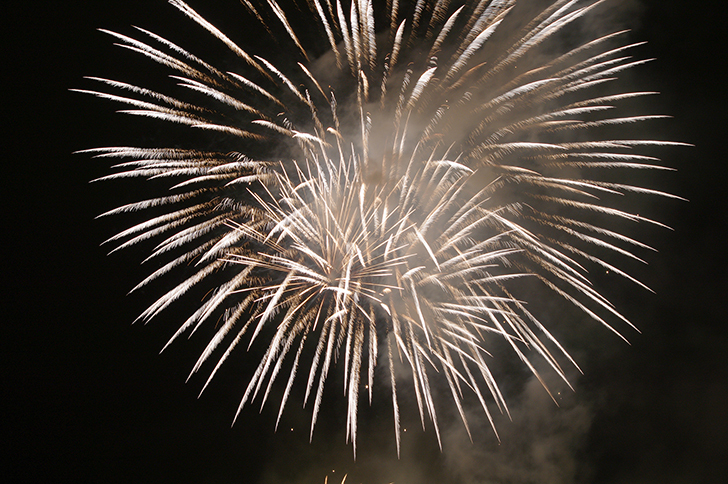 The fireworks display is set to last an hour from 20:00 -21:00pm. ※ Will be stopped in the case of severe weather. As mentioned previously, the total area of ​​Ocean Expo Park is about 15 times the size of the Tokyo Dome. It would be extremely tiring to move around on foot. So for travelling around the park, we would like to recommend this sightseeing bus. There are 13 stops in the park, covering all areas from the emerald beach all the way to the Tropical and subtropical urban greening botanical garden. The bus driver will also act as a guide as they drive you around the park. This will definitely be useful if you plan to see other attractions around the park. * The route may change if an event is being held. 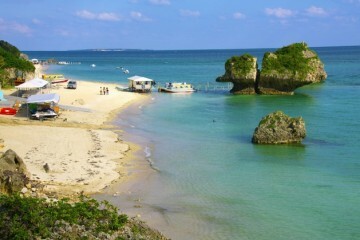 Many people who travel in Okinawa will use car rentals for the convenience. Please follow these instructions for access by car. 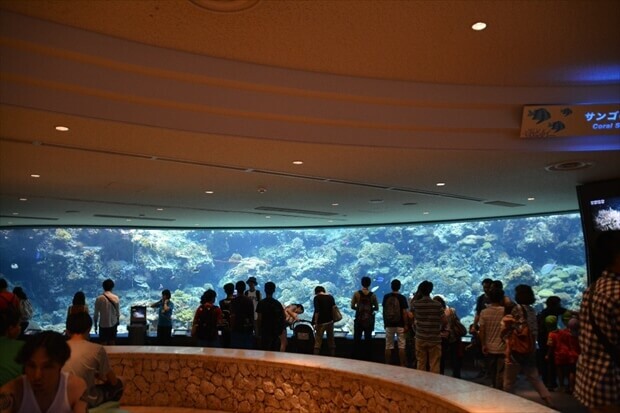 ※ Note: Since car navigation setting can not be searched by “Okinawa Churaumi Aquarium”, in that case search by “Ocean Expo Memorial Park”, “Ocean Expo Park” etc. 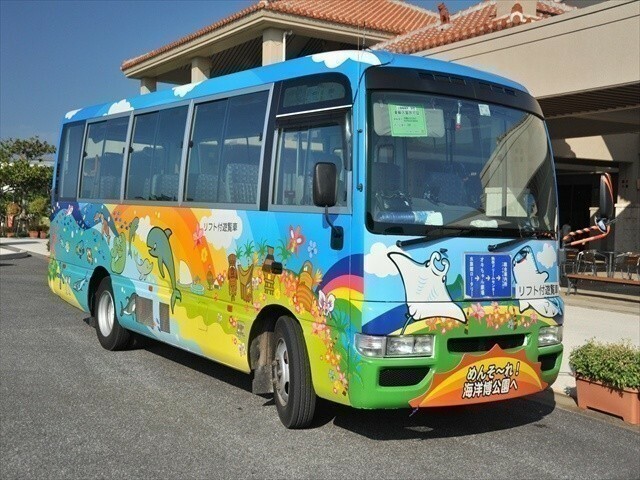 Yanbaru Express Bus is a convenient bus that you can board from Naha Airport without the need for a transfer. As it uses the highways it takes approximately 2 hours and 20 minutes (Passengers will alight in front of the Memorial Park) Travelling during peak times runs the risk of congestion, so we recommend you plan your journey outside of these times. * Highway buses and Rosen buses require passengers to transfer at Nago Terminal. Information regarding access by bus for the Okinawa Churaumi Aquarium and Ocean Expo Park, please refer to the below. Book the Yanbaru Express Bus at kosokubus.com ↓↓↓↓↓↓↓↓click!! Ocean Expo Park has more than you can fit in in one day, so it might be better to spend about two days in the area. 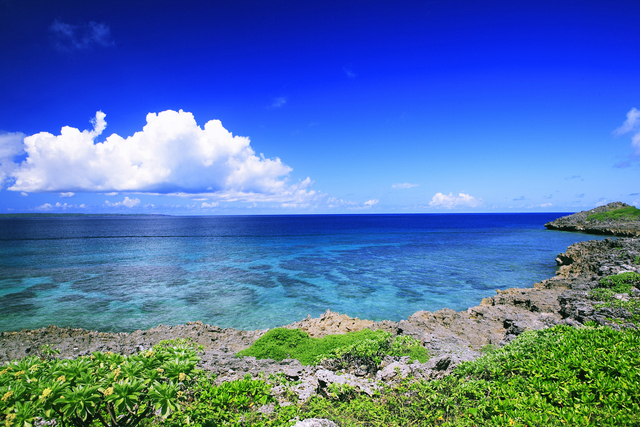 Okinawa prefecture has a wide variety of things to offer tourists spread over the islands. To avoid disappointment It may be best to spend time in one location and explore it fully before moving to the next. 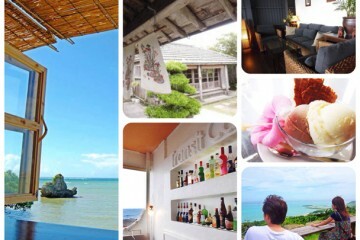 In Okinawa, time seems to pass slowly,so relax and enjoy your stay. 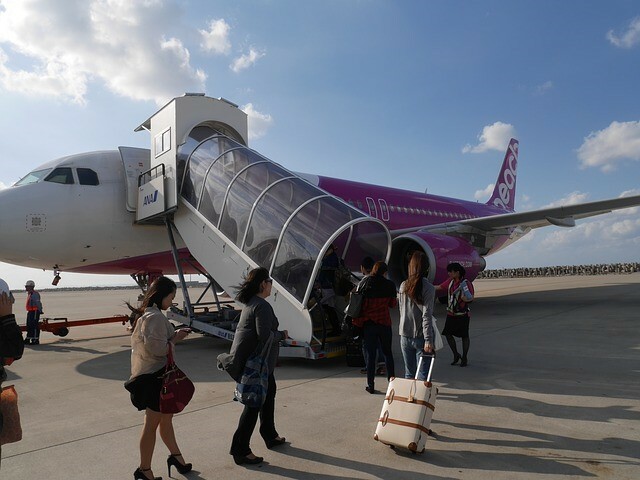 Enjoy your sightseeing following Okinawa time. 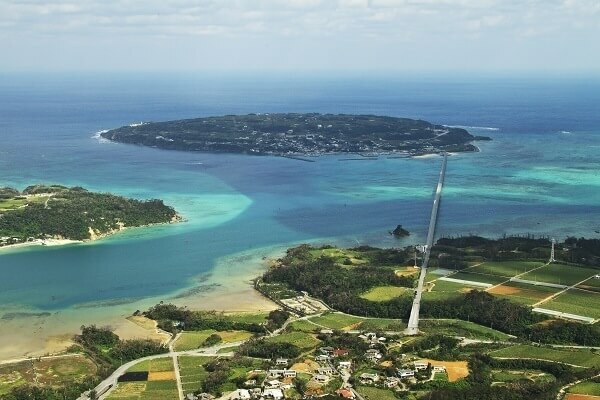 Okinawa- Kouri Island Perfect Guide!